Brad Pitt (born William Bradley Pitt on 18 December 1963 in Shawnee, Oklahoma), is an American actor. He starred in the movies Legends of the Fall, Seven, and Moneyball. His relationships have been the source of many gossip magazine articles, being married to Friends actress Jennifer Aniston from 2000-2005, then his partnership with Lara Croft actress Angelina Jolie. 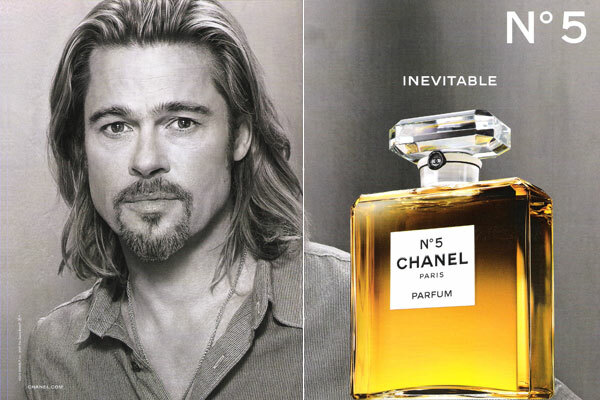 Brad Pitt is featured in Chanel No. 5 campaign (Fall 2012).